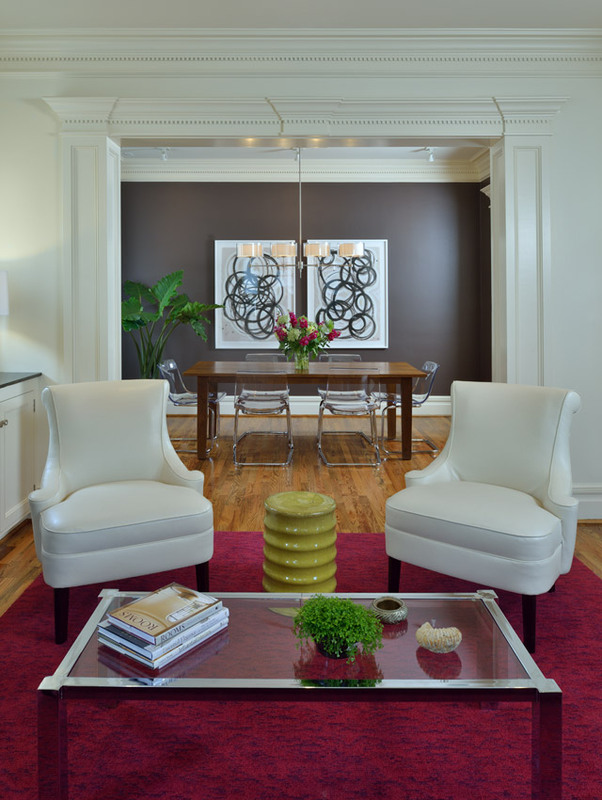 This project presented us with a familiar Houston story: our clients had purchased a recently-built spec home, but the interior was poorly and cheaply detailed. 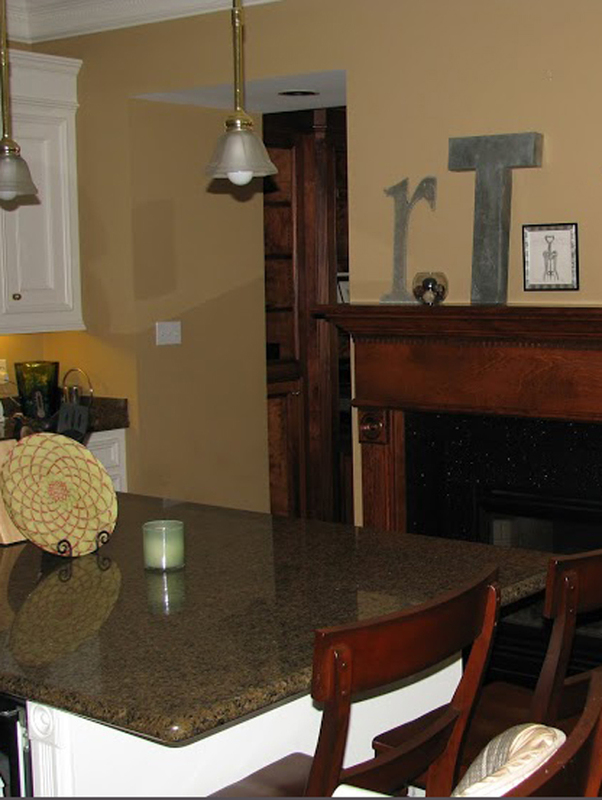 We were called in to overhaul the look of the primary living spaces. 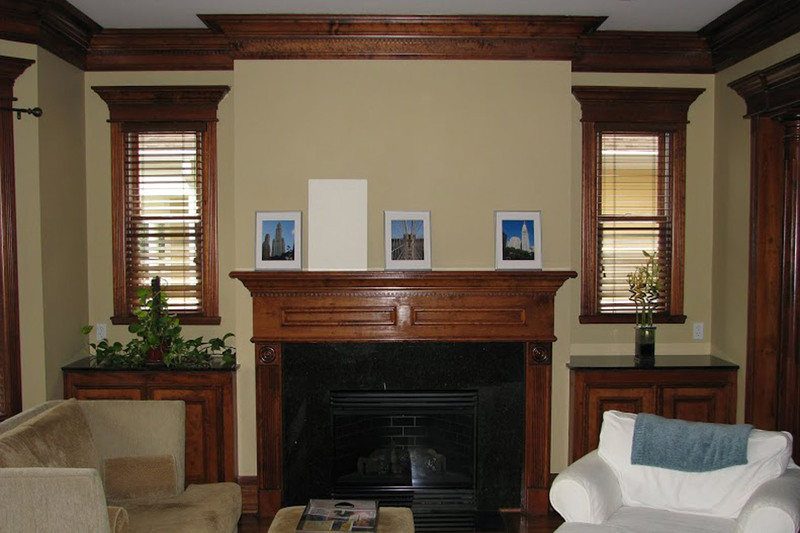 Our solution involved modification and/or replacement of existing millwork and trim, painting all remaining trim white to neutralize it, a new lighting plan with all-new fixtures, the development of an updated color palette, and materials selections. 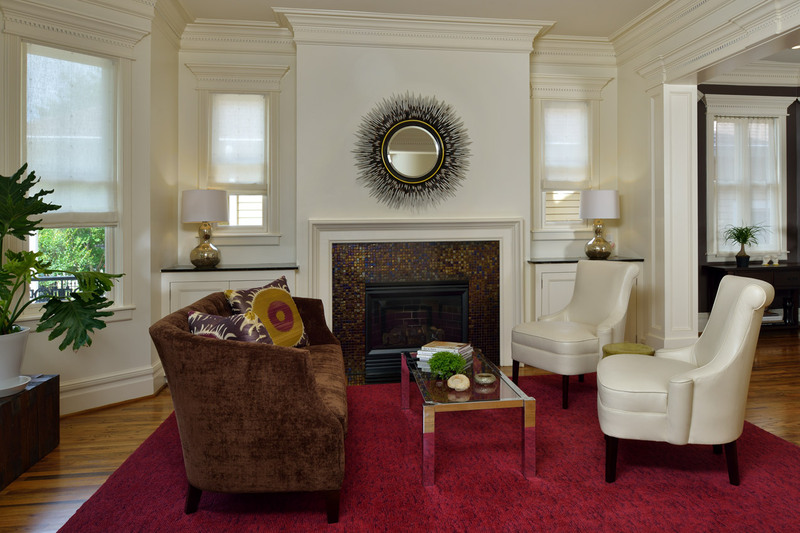 The furnishings are a combination of the client’s own pieces and those that we selected together. 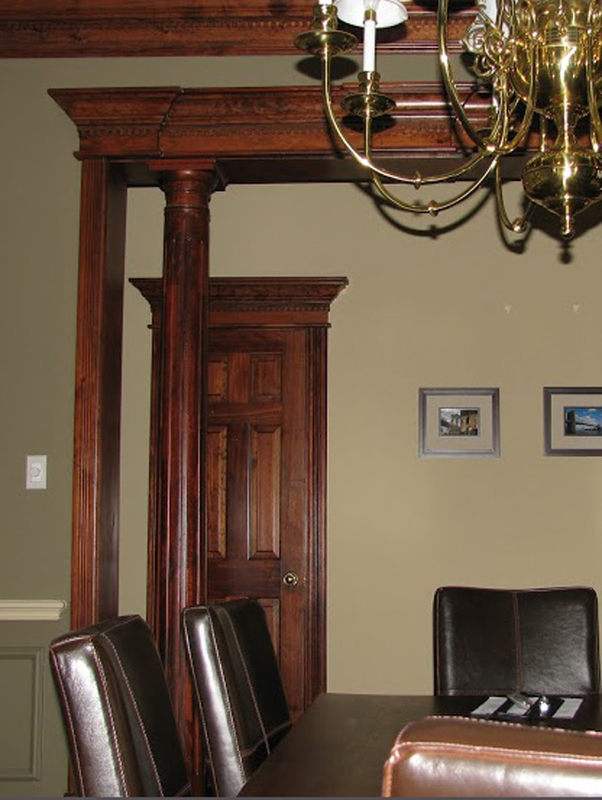 The “Before” photos show the clunky moldings, dowdy decorative light fixtures, oversized recessed lights, and bland doors. 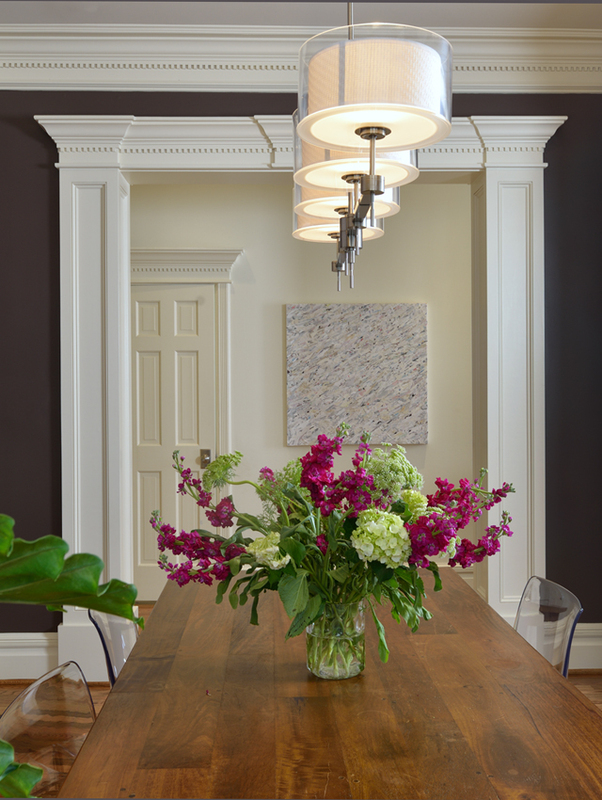 In the “After” photos, a color palette of warm magenta, chocolate and chartreuse modernizes the previously-dowdy space. White moldings, metallicized glass tile on the simple new mantle, and airy white linen Roman shades add to the overall look. 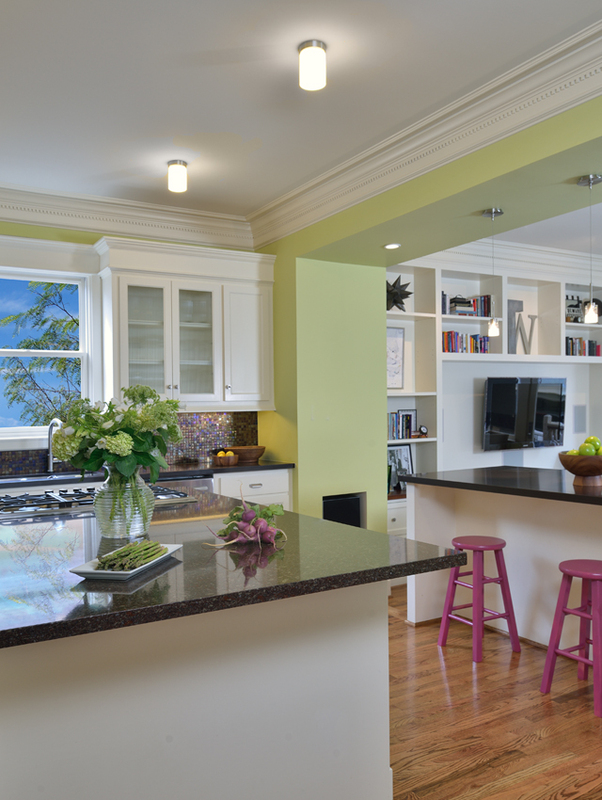 In the kitchen, although modifications were minimized for budgetary reasons, significant structural changes were made to enhance the space. 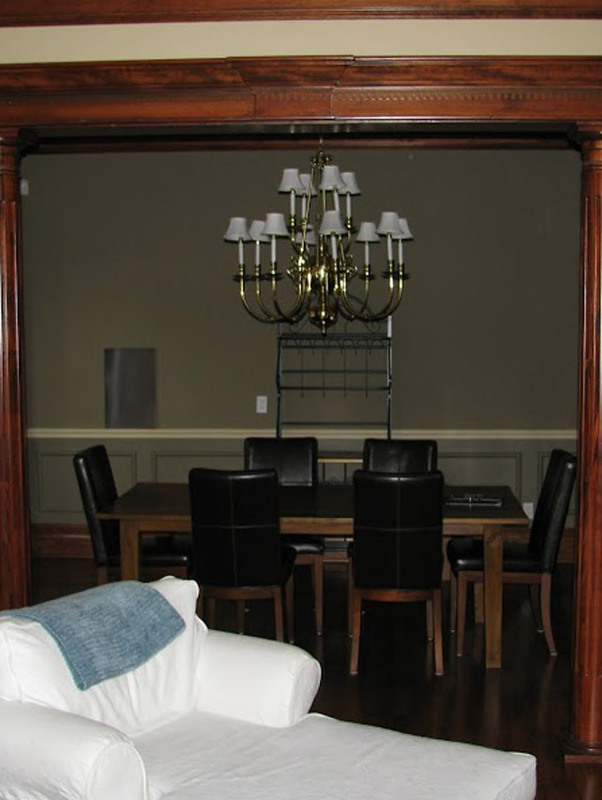 The fireplace between the family room and kitchen was removed, new cabinets were added, and a small porch at the side of the house was converted to living space to enlarge the family room.